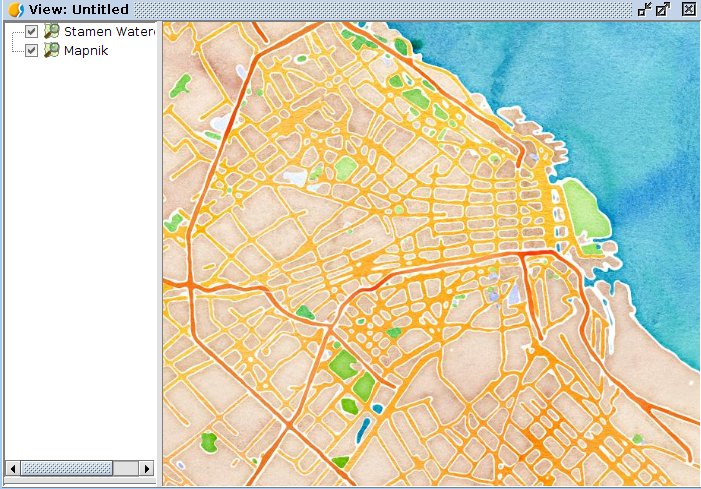 One of the small but important improvements that have been included in gvSIG 2.0 is, in our opinion, the access to the excellent data source that OpenStreetMap is. The extension, that was recently released, can be installed easily from the gvSIG add-ons manager (by URL, selecting the http://downloads.gvsig.org/download/gvsig-desktop/ server and the Formats: OpenStreetMap raster tiles support) package. 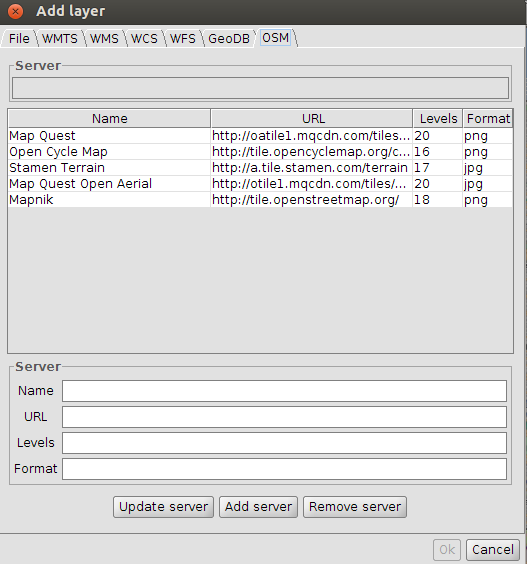 As it was commented in a previous post, it will allow us to access to Map Quest, Map Quest Open Aerial, Open cycle Map and Mapnik layers. An interesting functionality that is presented in this extension is that the user can add new servers. 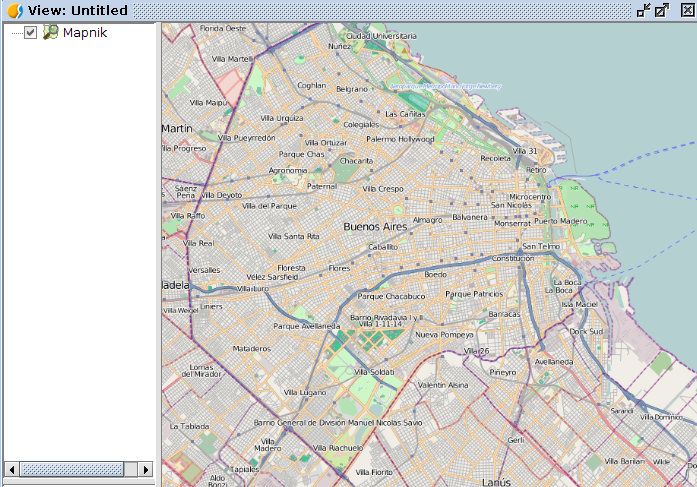 For that we only have to fill in the data of the new server in the Add layer/OSM window. We’re going to see an example where we’ll add Terrai, one of the Stamen tiles services, from United States of America, all of them with an excellent design. Name: We can add whatever we want, a name that allow us to identify the server. We only would have to press the “Add server” button to include it in our server catalogue. We only have to press “Add server” and it would be added to the group of available servers. You can check to view it. You have to take into account that not all of these servers offer information of all the world, different from the 4 servers by default. In the cases where Stamen doesn’t cover all the world you can zoom to a city of USA and check how the new information is shown.